Root canal is the natural cavity inside the tooth containing the pulp, soft area made up of connective tissue, blood vessels and nerves.When the pulp, also known as the tooth’s nerve becomes inflamed or infected it is necessary to perform the procedure called root canal or endodontic treatment. 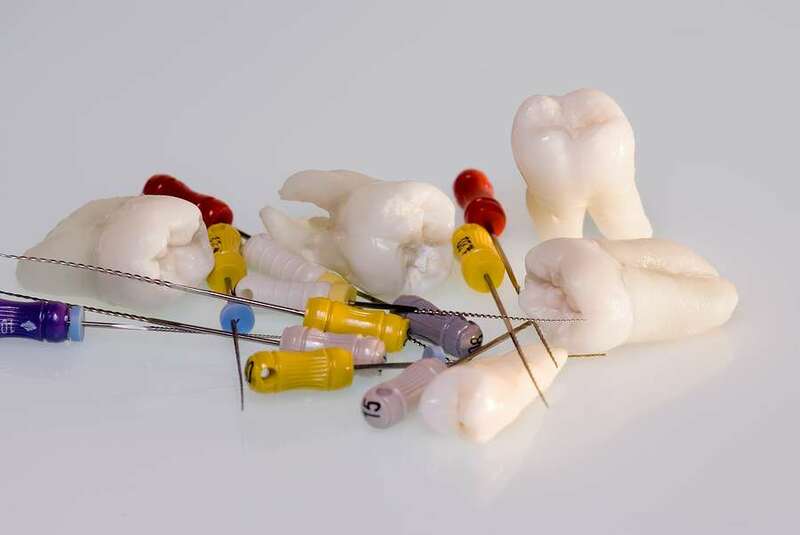 The inflammation or infection of the pulp may be due to several reasons such as severe decay, cracks in the tooth, large fillings, repeated procedures on the tooth or trauma to the mouth. If the infection or inflammation in the root canal is left untreated it may cause pain or formation of an abscess, a pocket at the end of the tooth’s root filled with pus. Additionally, untreated infection of the pulp may lead to swelling or more serious problem, the bone loss around the tooth’s root. There are many symptoms such as toothache and swelling, discoloration of the tooth, long-lasting sensitivity to hot and cold, or a persistent pimple on the gums that indicate you might need a root canal. If you are experiencing any of these symptoms make sure to immediately call our office and schedule an appointment! Root canal procedure usually requires more than one visit to the dentist. The first step is to take an X-ray to determine whether there is an inflammation or infection of the pulp. After the assessment, the dentist will use local anesthesia to numb the area around the infected tooth. Then the hole will be drilled into the tooth, allowing the infected pulp and bacteria to be removed. In some instances, the dentist might put a medication inside the tooth to treat the infection. After the inside of the tooth is cleaned, it will be filled and sealed with a material called gutta-percha. In order to complete the restoration of the infected tooth and to protect it from further damage crown may be placed on the tooth. The recovery process after the root canal procedure is relatively short. You may experience some sensitivity and pain that may be reduced with the over-the-counter medication. Most people can go back to their everyday activities the day after the procedure. In case the pain you are experiencing becomes worse or hard to tolerate call our office immediately!